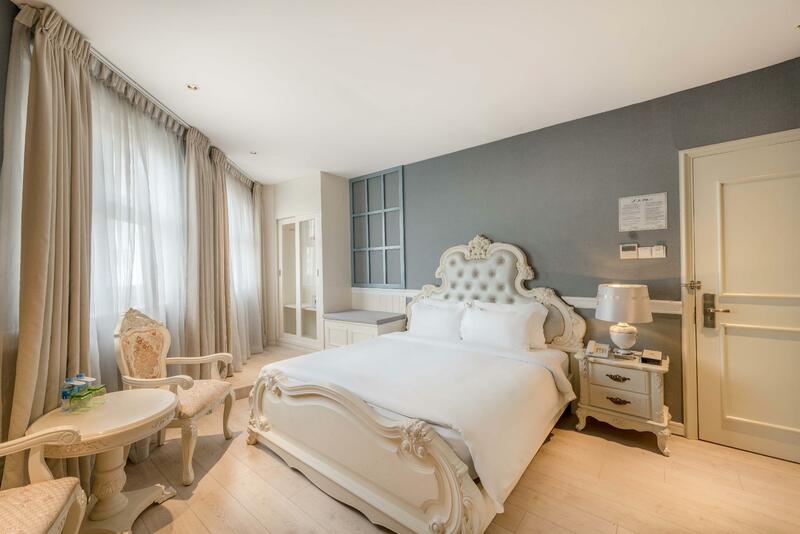 Heeft u een vraag voor A&Em 280 Le Thanh Ton Hotel & Spa? 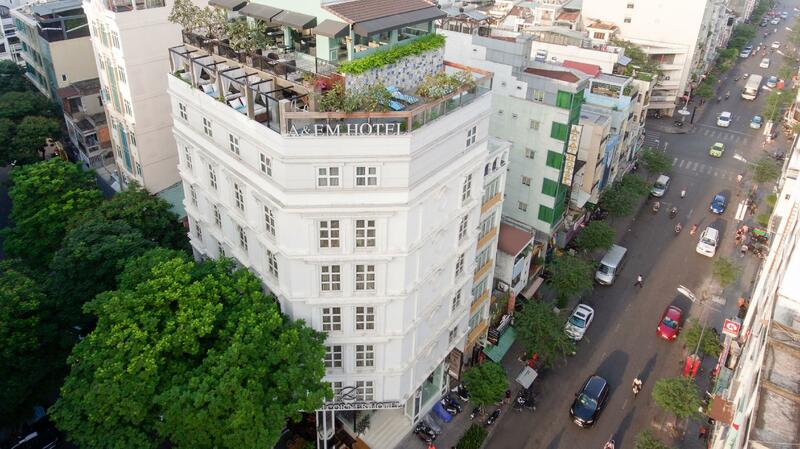 A&Em 280 Le Thanh Ton Hotel & Spa is gelegen in District 1 in Ho Chi Minh Stad en een uitstekende keuze voor een ontspannen verblijf. Het hotel ligt niet zo ver van het stadscentrum: de afstand is ongeveer 0.1 Km en het duurt normaal ongeveer 30 minuten om het vliegveld te bereiken. Niet minder uitzonderlijk is het feit dat zoveel attracties en monumenten in de buurt liggen, zoals Queen Collection, Mariamman Hindu Tempel, Phan's Custom Tailor. 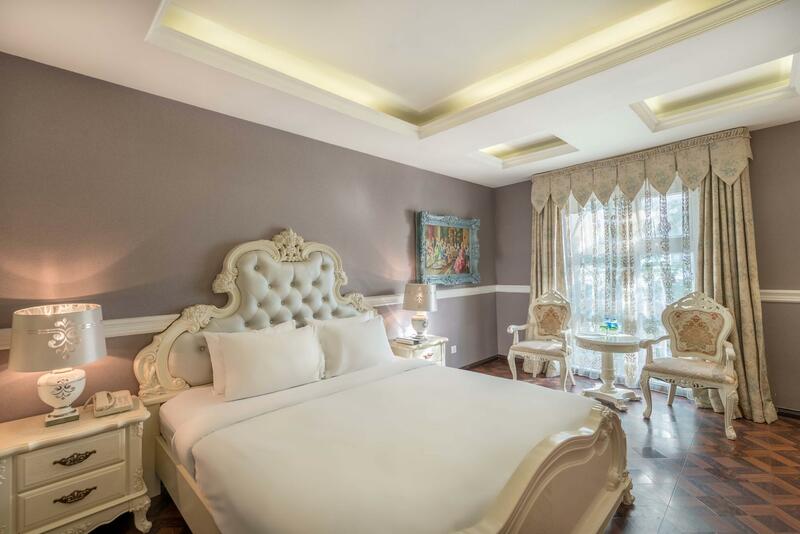 Het A&Em 280 Le Thanh Ton Hotel & Spa biedt gasten superieure dienstverlening plus een breed scala aan voorzieningen en is toegewijd om uw verblijf zo comfortabel als mogelijk te maken. Maak in het hotel gebruik van een selectie topklasse faciliteiten, zoals 24-uur roomservice, gratis wi-fi in alle kamers, 24-uur beveiliging, dagelijkse schoonmaak, taxi service. Hotelkamers zijn zorgvuldig ingericht om het hoogste niveau van comfort te bereiken, met kledingkast, thee, handdoeken, houten-/parketvloer, slippers in iedere kamer. Het hotel biedt fantastische faciliteiten, inclusief fitnesscentrum, zwembad (buiten), wellnessfaciliteiten, massage, zodat u kunt onthaasten na een bezige dag in de stad. 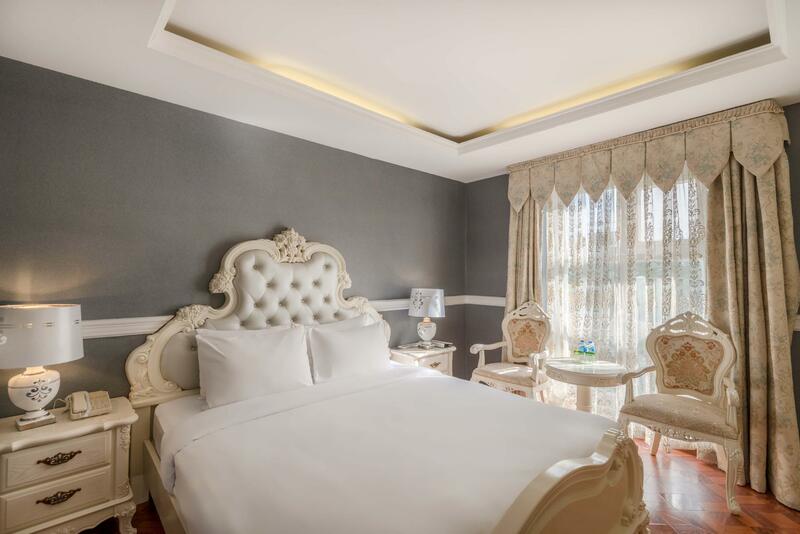 Het A&Em 280 Le Thanh Ton Hotel & Spa is een slimme keuze voor mensen die reizen naar Ho Chi Minh Stad: een ontspannen verblijf is gegarandeerd. This hotel is great with the design and very nice bathtub Only thing is wifi not strong and staff service is average. Breakfast arrangement can be improved as well. Too little seats for so many customers. Also the staffs do not have initialtive to replenish the food and instead have to wait for customers to ask for it then do so. The location is the catch for this hotel, also for me personally is the space outside the hotel which allows us to park our motorbike. One thing that put us off is the staff were playing poker cards one night when me and my girlfriend went back the hotel, and requested them to park the bike properly, the staff were seemed pretty unhappy with my girlfriend's request and spoke rather nonchalantly and impolite way to her. Other than that I think its worth it to stay in this hotel. Very nice room with a Jacuzzi and good bed. A little bit small. The breakfast area was closed during my visit so had breakfast at the hotel on the other side of the road. Only thing I didn't like was the rooftop area. It was dirty and the Jacuzzi area was not nice. The Jacuzzi was lot possible to use because it was no it clean. But good value for money. Very love to stay at this hotel, the room was very clean, staff also very friendly, so far the facilities is good and the location for this hotel is in the town so very easy to find the food and shopping. we will continue to stay at this hotel for the next business trip. will recommend to others friends. I booked a Executive Double or Twin room for 2 nights. But upon arrival at the hotel, I was told that the room that I booked is not available and was told that I have to pay to upgrade to a VIP Room. After much argument, I reluctantly paid for the upgrade which is not my fault that they did not keep the room for me. This is absolutely absurb. I hope that Agoda can look into this issue. 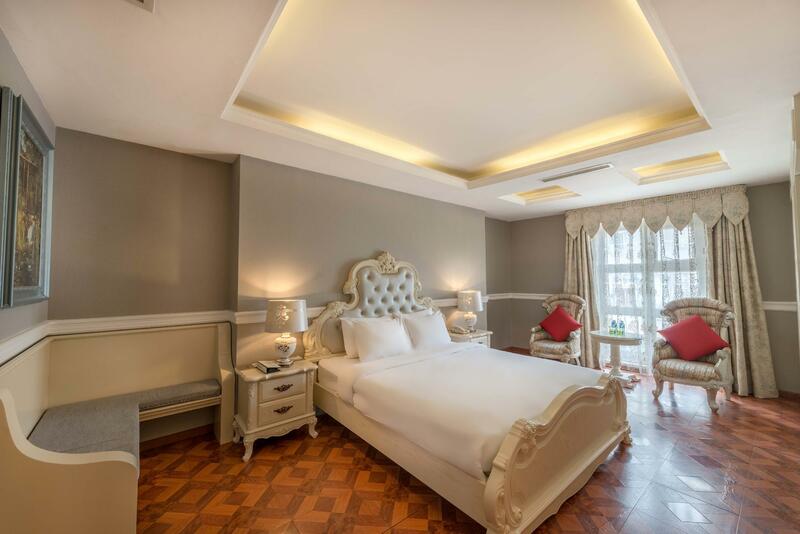 hotel is situated near Ben Thanh market and is walking distance to most of the attractions in HCMC. room is clean and comfortable. breakfast is normal. nothing to shout about. lots of restaurants and cafes nearby. 6 reizigers vonden deze beoordeling nuttig. Wat vond u? Great location at the heart of HCMC ... lots of halal eateries around the area and it’s a stone throw away from BennThanh Market ... walking distance to Saigon Square, a aircon shopping paradise. Room are spacious, clean except for the squeaky and creepy bed. Otherwise all is fine and meet my expectations. Bang in the middle of district 1... Two mins walk to Ben Thanh market, 10mins to union square & 15mins to independence palace. Rooms were nice & cozy with a large bathroom. Floors were a bit creeky & room wasnt properly sound proof, as can hear noises from the road all night long. otherwise the stay was excellent! It's kind of a luxury hotel. I love the feeling it brought to me. My best impression is the rooftop pool. Most of hotels I booked have rooftop pool. However, they always seemed like they were abandoned: dirty water, trash everywhere... Here is not. Clean, warn and peace view from the top to the crowded street below. The price will be a little down point for the hotel. I was just lucky enough to have the agoda reward points and final paid price is affordable. Good location and can walk to nearby cafe and local food and cafe. Room is clean and nothing to complaint. However, if travelling with family, I would not stay here because of many massage parlor below the hotel. Hotel Cafe offers good and decent internet connection. Staff was very helpful, one of my friend staying at the hotel met an accident and was warded into the local hospital. The manager offer their help to look after my friend during the night time. They also help us to translate because most of the doctors there cant speak English. The manager also advance 1 million dong for the hospital deposit for us without asking for any collateral. This is by far the best hotel in Vietnam I have stayed in many different types of hotel from 2 star to 5 star this for me is how a hotel should be the staff go out of there way to make your stay plesent can not give 6 stars but if I could I would! !!! Comfortable and pleasant. However, i need to emphasize on the staff performance. Due to language barrier, receptionist on duty at night unable to understand very well. Went to HCM during ramadhan and had food deliver to the hotel. Unfortunately, receptionist did not call my room and inform about my food. Waited for 1 hour past the breaking fast and was furious to know that the staff from Lion City did inform the receptionist to call my room as she knows im fasting. But due to language barrier, no call was made. Hope the management take this issue seriously.